In anticipation of the Spider-Man Homecoming movie release, Oculus and Sony Pictures partnered with Elevate to deliver a global demo program for the Spider-Man Homecoming VR game. The campaign activated across 14 markets, in theaters leading up to the premiere. 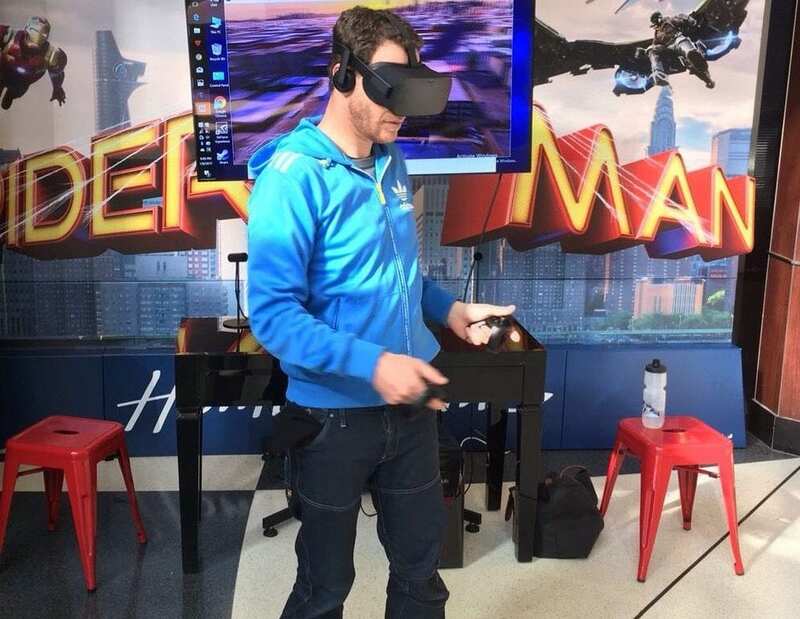 Elevate delivered teams of trained demo specialists, across 14 markets, over three weekends, to setup a custom Spider-Man kiosk – complete with Oculus hardware. The team conducted demos for theater goers and supported with any IT issues. Having a team of trained global specialist allowed Elevate to act quickly and provide top quality, specialised staff for this last minute campaign. Despite the tight timelines, Elevate ensured all staff participated in a pre-event, bespoke, training call to walk through the kiosk and content specifics to ensure seamless delivery across all markets. Elevate on-boarded a crew of preferred, expert staff, which allowed for smooth delivery. Elevate worked closely with the client, vendor partners, and staff to execute this successful, global launch, which generated positive results and feedback across all markets. Given the last minute nature of the project, Elevate’s ability to quickly jump into action by providing a team of VR trained specialists, globally, proved extremely beneficial. Elevate was able to overdeliver on service offerings and KPI’s, in advance of an extremely exciting movie launch.